Bulgarian lawyer, Mincho Spasov, has sent a letter to the Chief Prosecutor, Boris Velchev, requesting an investigation of Prime Minister, Boyko Borisov, and former President, Georgi Parvanov, over the notorious case dubbed "Misho the Beer." Spasov is the Chairman of the Expert Council for Justice and Internal Affairs of the party of former Tsar and Prime Minister, Simeon Saxe-Coburg, National Movement for Stability and Prosperity, NMSP, and former Chairman of the Parliamentary Legal Committee. He cites article 23 of the Penal Code as grounds to start legal proceedings against the two, pointing at admissions of Borisov that the scandalous recording of his conversation with Customs Head, Vanyo Tanov, regarding the late businessman Mihail Mihov AKA Misho the Beer is authentic. Just days ago, during a conversation with prominent Bulgarian bloggers Komitata (Konstantin Pavlov) and Asen Genov, the PM declared that Parvanov has called him to ask him to stop a tax and Customs probe at Mihov's brewery. In the letter to Velchev, Spasov stresses that the two senior politicians have exerted illegal pressure and committed abuse of power in breaching the law. He reminds the Chief Prosecutor that in a statement to the media in June 2011, he refused to investigate Borisov's alleged past ties with organized crime as reported in a classified cable to the State Department by former US Ambassador in Sofia, John Beyrle. The cable was released by the whistle-blowing site WikiLeaks and their partner for Bulgaria Bivol.bg. Velchev grounded his refusal then with the information being "ill-intended claims that could be received about anyone and clog the judicial system. "After Borisov's statements from July 9, 2012, before the bloggers from www.politikat.net, you now have evidence coming from the perpetrator himself, supported also by tapes made with Special Surveillance Devices, SRS, and testimony of Tanov's former Deputy, Antoniy Strandzhev," Spasov writes in the letter. "It was not right, and I should not have done it, but Parvanov asked me, and this is me... Everyone makes their own mistakes. I reacted and called Tanov, knowing his phone was constantly being taped. In March 2011, Mihov's body was found in the RIU Pravets Resort Hotel, in the town of Pravets, northeast of Sofia, which, according to unofficial information is owned by tycoon Valentin Zlatev, the CEO of Lukoil Bulgaria. In mid-January 2010, Mihov became notoriously known through his involvement in the "Tapegate" scandal. At a press conference in January, the anti-government Galeria weekly released a tape of a conversation between Borisov and Tanov, alleging that Borisov provided a cover-up for Mihov. The tapes reveal that Borisov had called Tanov with an order to immediately pull out all customs agents from Mihov's factory over an agreement that he made with the businessman, and that the "Ledenika" boss personally complained to the Prime Minister that the customs inspected his plant in spite of their arrangements. The authenticity of the compromising tape involving Mihov's name was never unconditionally proven. Borisov and Tanov admitted of having phone conversations about Mihov, but insisted the recordings were tempered with to implicate them in something they never committed. Only Strandzhev, who had also been taped, confirmed the authenticity of the recordings. According to official autopsy results, Mihov has passed away from "fast heart failure over acute coronary deficiency." The autopsy report was sent to the Sofia Prosecutor's Office. 47-year-old Mihail Mikov is the owner of the three Bulgarian breweries, (hence his nickname "Misho Birata" - i.e. "Misho the Beer"). He had been the President of the Bulgarian Basketball Federation since 2008. He was also the Honorary Consul of Brazil in Varna. Politikat.net is an Open Source platform that tracks how promises made by the government and PM Boyko Borisov are being fulfilled (or not fulfilled). It includes a special section called "Boykometer," inspired by the US website Obameter. 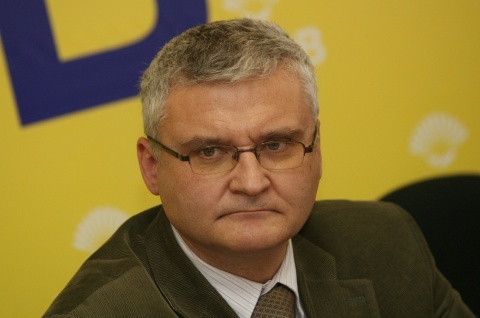 On July 6, the press center of the ruling party GERB sent a letter to Komitata and Genov, asking them to provide statistics and resources used by Politikat.net, and the two were later invited for talks with Borisov.